"Sleeping Packs" are very popular among Asian brands as they promise special deep care for the skin during the night. I tried a few Korean ones and was quite happy with them, especially the Q10 from Tony Moly (which I believe I reviewed couple of years or so ago). 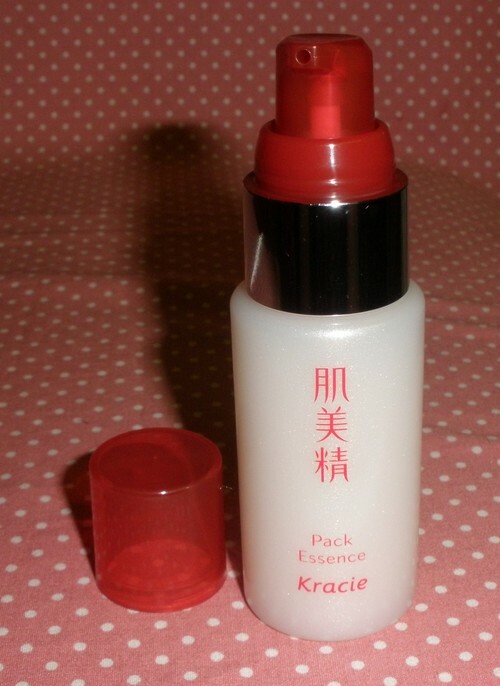 Kracie came out with a Facial Serum Pack Essence some months ago and it´s a sleeping pack to use overnight. The whole box and everything is printed in Japanese so I had to rely on the descriptions from Sasa and Alphabeautyuk on eBay but both state it´s an overnight treatment good for about 50 nights per bottle. 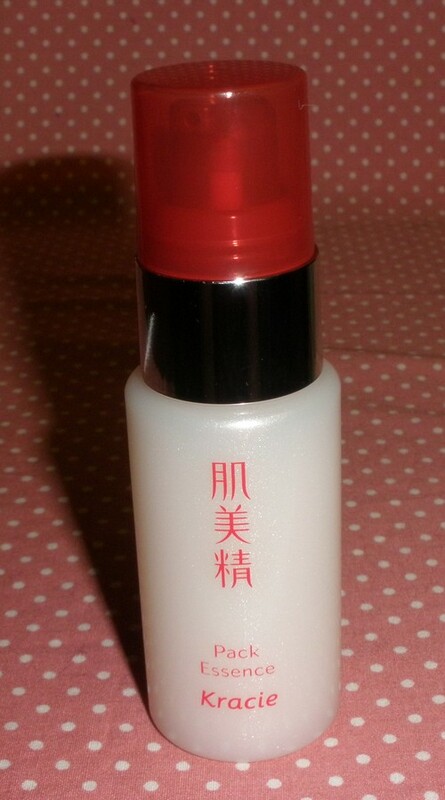 The bottle reminds me a lot of Kosé Sekkisei but in red and white. It comes with a pump which is definitely the best and most hygienic packaging for anything related to face care. The Facial Serum (as written on the box) Pack Essence (as it´s called on the bottle) is a milky white gel-cream with a soft floral scent. It contains Hyaluronic Acid, GABA (amino acid), Collagen, Royal Jelly (all for moisture/hydration) and natural Glucosamide (for brightening). I was afraid it would be too much high-tech for my sensitive skin so I ordered it but still was a bit hesitant to use it. I started using it some weeks ago and it´s absolutely amazing stuff! It doesn´t feel sticky but absorbs really quickly and makes my face silky soft. In the next morning my skin is plump and feels deeply hydrated and smooth. I haven´t encountered any irritation at all so I will continue using it. Use as last step of your skincare at night before you sleep and wash off in the next morning. 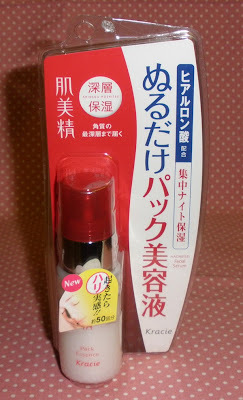 I paid around US$12 or so so it´s an inexpensive treatment! which on do you like more the Q10 from Tony Moly or this one?